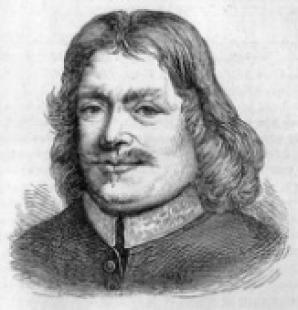 JOHN BUNYAN (1628-1688) was a Puritan preacher and writer in England. Bunyan had very little schooling. He followed his father in the tinker's trade, and served in the parliamentary army from 1644 to 1647. In 1655, Bunyan became a deacon and began preaching. He experienced marked success from the start and was the pastor of the Bedford church. Bunyan is the author of The Pilgrim's Progress which he wrote in 1676 while imprisoned for preaching without a license. His numerous other titles include Grace Abounding to the Chief of Sinners and Holy War.